Working with museum collections, I am often reminded that the names we attach to objects can reflect powerful social and political forces. A case in point is the small instrument of ancient Asian tradition that, in popular parlance, became known as the "opium scale" in the late 19th century, as the use of opium for recreational purposes increased, and relations between white Americans and Chinese immigrants worsened. While scales of this sort were used for all sorts of purposes, the new term served to demonize all people of Chinese heritage. Early European voyagers to the Far East often noted that the dotchin—that was the common Anglicized version of the Chinese name—had long been used in China, and probably elsewhere in Asia as well, to weigh small treasures and substantial commodities. They described it as an unequal arm balance similar to the one known in English as a steelyard or Roman Statera. And they brought some examples home with them. "A China STATERA, in the form of a Steel-Yard" appeared in the 1681 list of objects in the museum of the Royal Society of London, along with the comment that "The Chineses [sic] carry it about them, to weigh their Gems, and the like." Don Saltero's Coffee House and Tavern, a popular London venue, had a Chinese dotchin and its case in its cabinet of curiosities. Following the discovery of gold in California, Chinese men flocked to the United States, and some brought their dotchins with them. Thus, an American physician who visited a Chinese pharmacy in Sacramento saw scales which showed "the great antiquity of the people," adding that the Chinese "still disdain to use other than those which have been in use for centuries." The physician went on to say that these "have but a single plate and a long beam, the weight sliding on this last, similar to the old-fashioned steelyard. Many, however, are of fine workmanship, and in the hands of a skillful person prove very accurate." Carl Hinrichs, a professor of chemistry at the Medical School of St. Louis University who visited the International Exhibition of 1904, wrote a report on "China, Its Druggists, Medicines and Chemical Manufactures." After noting with approval that the Chinese pharmacists sell drugs and medicines rather than cigars and soda water, Hinrichs mentioned that they used the common equal-arm balance for weighing drugs and coins, and the Chinese steelyard for "less accurate and commercial work." The scarcity of early connections between dotchins and opium reflects the fact that opium was seldom used or abused in China. That situation changed in the late 18th century when, seeking a commodity to strengthen their balance of payments, the British East India Company began smuggling vast quantities of the narcotic into the Celestial Empire. American merchants soon followed suit. The Chinese emperor objected, but to no avail. Thus, in the 1840s, an Anglican missionary describing an "opium den" in Amoy (the city now known as Xiamen), noted that the proprietor stood in the principal room, with delicate steelyards, weighing out the prepared drug. European physicians had long recognized the value of opium for pain relief, and their ideas found purchase in the American colonies. Benjamin Franklin, for instance, turned to the opium-alcohol preparation known as laudanum to alleviate the pain of kidney stones. In the 19th century, opium-based medicines were used to calm teething babies, relax women with menstrual pains, and soothe wounded soldiers on Civil War battlefields. The origin of opium-smoking in the United States, at least on a large scale, probably dates from the 1850s. The first published accounts of the habit didn't appear until the 1870s when, in the face of economic downturns, white Americans were became increasingly hostile to their Asian neighbors. In his article on "Opium Smoking Among the Celestials," a Philadelphia pharmacist noted the "immense traffic in an article which is seemingly part of the very life necessities of this curious people," and described shops in San Francisco's Chinatown where merchants weighed carefully "a small portion of the much coveted drug." Another observer described a San Francisco shop in which the customer "places upon the counter a tiny round box of horn, his opium-box, and lays a dime or nickel beside it; thereupon the shop-keeper gravely places the box in the scale pan of his diminutive steelyard, which, like all we shall see, either small or large, is of wood, and sliding the 'cash,' or Chinese coin, which, hanging by a loop of thread, serves as a weight along the bar determines the 'tare.'" He then reaches into a drawer and dips out a small amount of "black, viscid stuff, which is just sufficiently fluid to drop slowly into the box. This is opium prepared for smoking." In his Opium-Smoking in America and China (New York, 1882), Harry Hubbell Kane described an "opium den" in which stood "a pleasant-faced Chinaman who, with scales in hand, was weighing out some opium." In 1875, having found that many white men and women patronized the local "opium dens," the San Francisco Board of Supervisors attempted to check the "growing evil." To that end, they imposed hefty fines on any Chinese proprietor who let a white person smoke in his "den," as well as on any white person found in such an establishment. This was the first American anti-drug law, and information about it appeared across the country. Police raids became common as other towns followed suit, with accounts of "opium scales" being found on the premises. 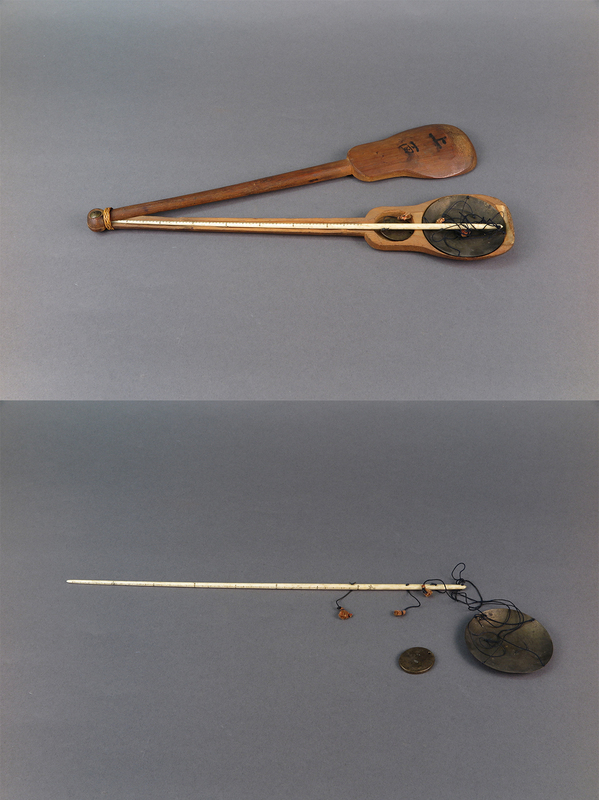 In Hawaii, where it was illegal to sell opium except for medicinal purposes, the attorney general suggested that the law be amended "so that where persons are arrested, charged with selling, and in whose possession opium scales or weights are found, the finding of such opium scales should be taken as prima faciae evidence of their having been guilty as charged." But still the practice persisted. The Washington Post proclaimed in 1897: "Wherever the Chinese are found there also traffic in opium is carried out in utter defiance of all laws," adding that the "Chinese opium fiends, with their peculiarities and cunning, are far harder to handle than the drunkard." Scientific American mentioned the scores of "opium dens" in the Chinese quarter of every large city, where "the Chinaman can buy his pipe and smoke in peace." It also noted that "white people" had places of their own, which were well known to the police, and "the vice is ever spreading and increasing." As opium addiction gained widespread attention, Congress finally decided to act, imposing hefty import taxes on opium and morphine in 1890. The Pure Food and Drug Act of 1906 required that drug packages provide accurate information about their contents. And the Opium Exclusion Act of 1909 banned the importation, possession, and smoking of opium all together. This brief history shows some of the challenges to naming things. These instruments might be called balances, steelyards, or scales, but the technically correct terms obscure the cultural implications. "Opium scale" is imprecise—since the same instrument might be used for many purposes—and it is culturally insensitive. 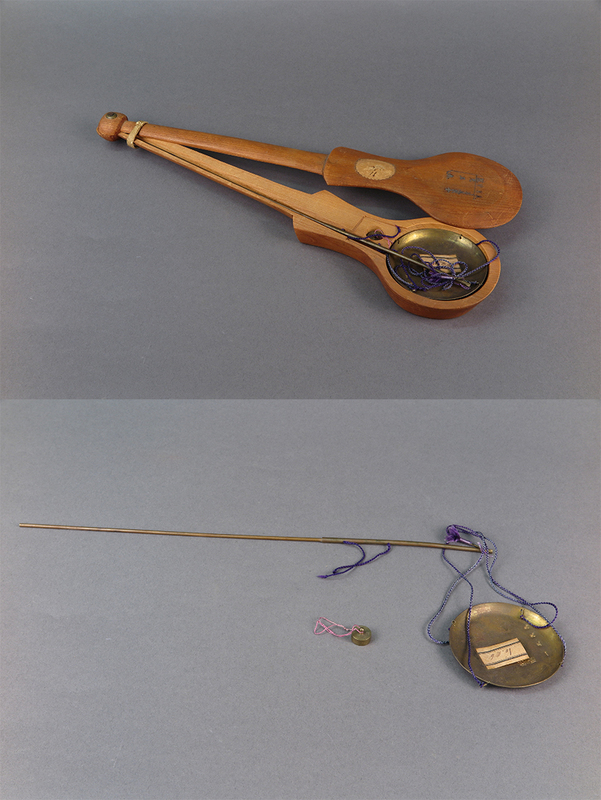 Dotchin comes from the Chinese who designed these instruments many centuries ago and have used them ever since, but may be unknown to most visitors. Such is the curatorial dilemma. Deborah Warner is a curator in the Division of Medicine and Science who blogs about connections between science and culture. For this project she worked with Priscilla Wegars, Ph.D., volunteer curator of the Asian American Comparative Collection at the University of Idaho, in Moscow, Idaho.